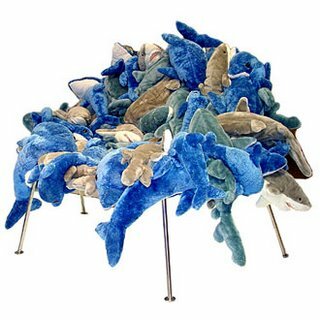 A small number of these chairs is produced each year by the Campana brothers' studio. Each chair is numbered. 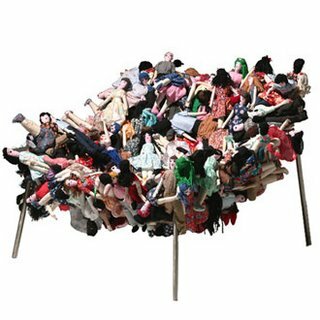 A small number of these chairs is produced by the Campana brothers' studio each year. Each chair is numbered. 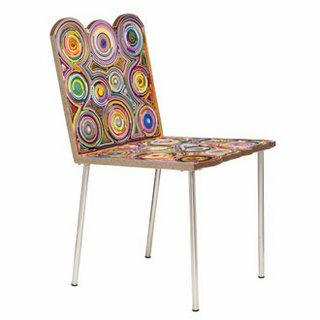 A small edition of these chairs is produced by the Campana studio each year. Each chair is numbered. 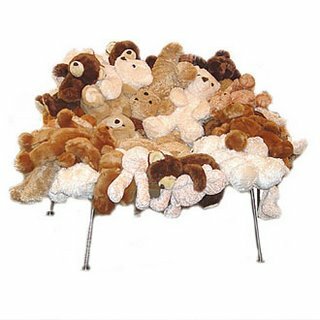 This chair, first shown in the Moss holiday 2004 store windows, is exclusive to Moss. 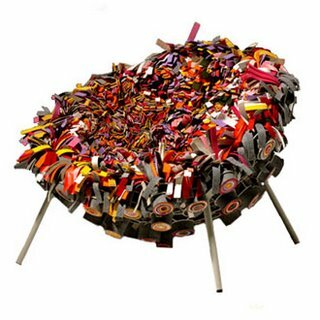 This chair was created especially for Moss by Fernando and Humberto Campana in their studio in São Paulo, Brazil and is one of their most exuberant works. 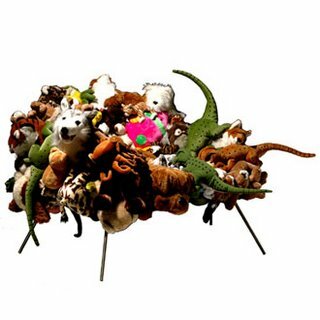 This unique chair, created especially for Moss by Fernando and Humberto Campana in their studio in São Paulo, Brazil, has been shown in exhibitions around the world and is one of their most exuberant works. 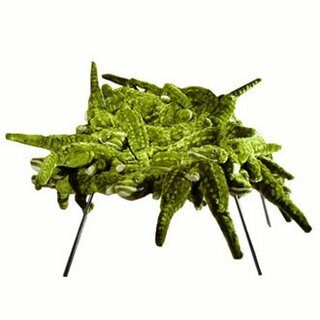 This unique chair was created especially for Moss by Fernando and Humberto Campana in their studio in São Paulo, Brazil. High and low stools with frame in moulded metal with metallic silver coating. 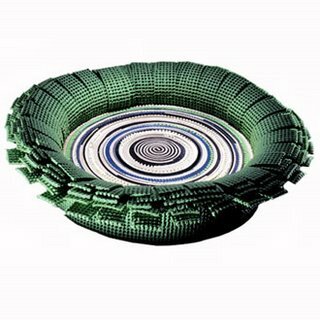 The seat is made by weaving and knotting special hollow tubes in plastic to the circular surround in a long, regular sequence. Moulded chair made of rigid structural polyurethane, having a metallic core. 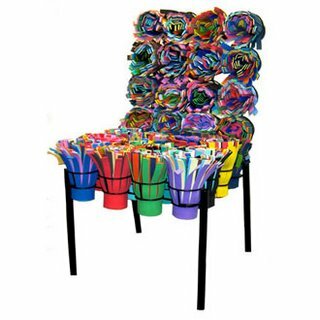 Its backrest is covered of about 900 hundred flexible stalks made of rigid PVC. 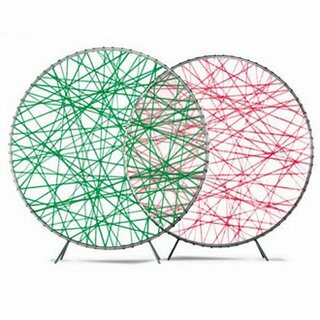 The circular frame with feet is in moulded metal, sanded and coated metallic silver. 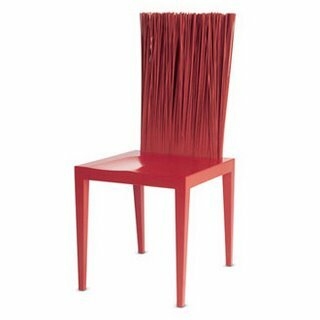 The surface consists of a weave of special hollow plastic tubes knotted to the frame in a long, regular sequence. 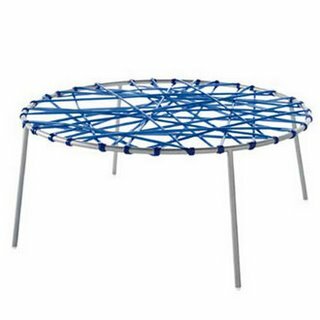 Made by rolling up fabrics and materials of different types and thicknesses and then squeezing them into a large flexible polyurethane and fabric tube. 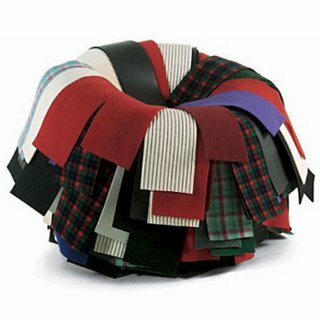 The part left uncovered opens up naturally into a corolla shape to form a multicoloured seat.